In the era of Romanticism, there is hardly any other Russian composer who is more associated with western European aesthetics than Pyotr Ilyich Tchaikovsky, a composer known for his symphonic and instrumental works, ballets and operas. Although several of his more than a hundred songs are quite famous, they are rarely performed in vocal recitals. 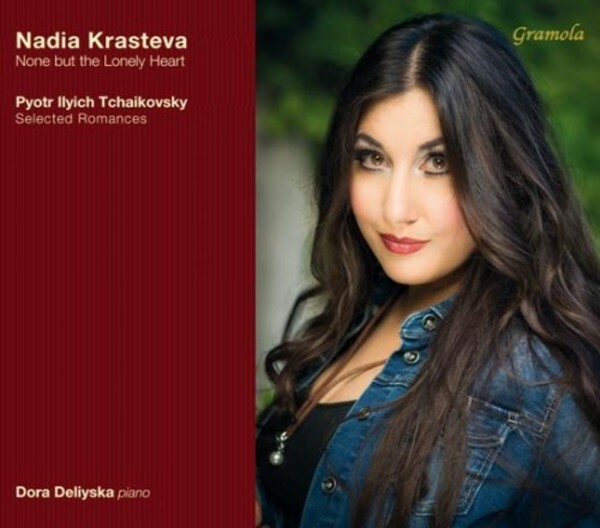 Bulgarian musicians Nadia Krasteva, mezzo soprano, and Dora Deliyska, piano, exemplify Tchaikovsky�s creativity and personal life with selected songs featured on their new album 'None but the Lonely Heart'. Not least due to their own Slavic descent, the artists succeed brilliantly in portraying such powerful emotions of melancholy, aspiration and sorrow, but also reconciliation and joy.